In recent history, a wave of revolutions swept through the Middle East, a phenomenon we often refer to as the “Arab Spring”. Between Egypt and Tunisia, two of the countries involved, only one succeeded in bringing about a true democracy. On February 11, 2011, the ruthless dictator of Egypt, Hosni Mubarak, resigned after three decades of rule. At the time, it seemed that democracy had prevailed over the forces of tyranny and that freedom was here to stay. The world turned its eyes to Egypt, seeing it as the beacon of liberty amidst the dark regimes of the Middle East. Hundreds of thousands of people celebrated in Tahrir Square, embracing their newfound freedom. However, three years later, the situation in Egypt looks bleak. After the ousting of their first democratically elected president, Mohamed Morsi, the people have allowed another authoritarian government to take over, under the rule of Abdel Fattah el-Sisi, who is backed by the military. Indeed, “the counterrevolution of June 30, 2013, and the enormous support for the military […] have prompted many observers to conclude that Egyptians have rejected democracy”, a chilling contrast to the hopeful days of in February 2011 (“Islam, Democracy and Islamism After the Counterrevolution in Egypt”). In 2011, the Supreme Council of the Armed Forces (SCAF) in Egypt tried more than 12,000 civilians in military tribunals using special courts under Emergency Law. The authorities arrested peaceful protestors on “dubious or trumped-up charges” and also prodded some protestors with electric shock rods during a peaceful sit-in in Tahrir Square. 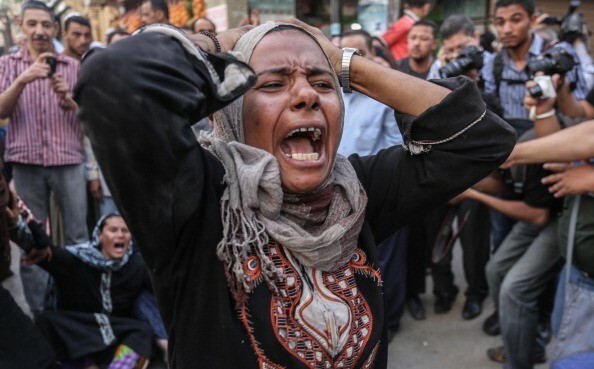 A woman cries as the new military-backed government in Egypt orders 683 people to be executed via mass trial. The situation did not progress much after the Muslim Brotherhood fell from power either. In the months following their removal, police killed over 1,300 people at protests, and the number of military trials of civilians actually increased following President Morsi’s overthrow. Tunisia lies 2200 kilometers away, on the coast of North Africa. On January 11, 2011, one month before the ousting of Mubarak in Egypt, President Zine El Abidine Ben Ali resigned under pressure. The people of Tunisia rejoiced and paraded through the streets, celebrating the end to 23 years of tyrannical rule. In contrast to the experience of Egypt, however, Tunisia has been able to preserve its fragile democracy. A constitution that was passed on January 26, 2014 guarantees equal rights for men and women. The new constitution also details and preserves a balance of power between the executive, legislative and judicial branches. Thus, though Tunisia is still an infant in terms of becoming a full-fledged democracy, it seems to be making small steps in the right direction. 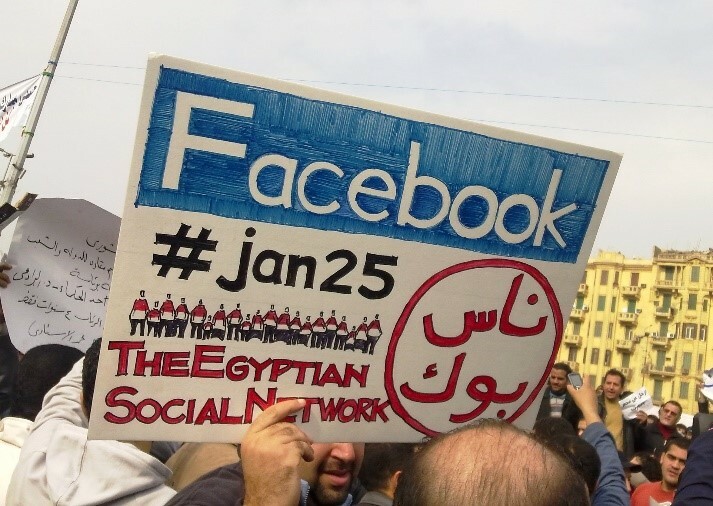 Social media was a big part of the revolution in Egypt, an indication of the “young, tech-savvy” activists. Suggesting that there is any one reason for the failure of Egypt’s democratic process is of course impossible, for a multitude of reasons contributed to the defeat of democracy in Egypt. However, existentialist philosophy can explain part of the reason for Egypt’s failure. According to existentialist thinkers, people have an inherent “anxiety”, in that they dread the possibilities of freedom. During these moments of anxiety, people hold on to the values they know best and identify with most, so that they can return to stability, security and certainty. In essence, when people are faced with the infinite and unknown possibilities that freedom implies, they may become what philosopher Simone de Beauvoir calls “serious men”. As defined by de Beauvoir, serious men are people who are être-en-soi (in-itselfs)—people who passively accept the facticity or environment in which they exist, not realizing their potential to change themselves. They are the opposite of être-pour-soi (for-themselves)—people who are always in the process of becoming, who are responsible for themselves and who they will become. Thus, though Western media circulated images of the “young, well-educated ‘tech savvy’ activists protesting for the end of sclerotic and gerontocratic regimes” (“Protest Movements and Political Change: An Analysis of ‘Arab Uprisings’ of 2011”), the influence of the serious men was too great, and the new ideas of democracy did not win out against more fundamental weaknesses of human beings. The Egyptian people became serious men when they allowed a party that did not believe in democratic principles, the Muslim Brotherhood, to come to power. Even though it was a party that was opposed to gender equality and that promoted sharia law, the people of Egypt were somehow comforted by a party that shared their religious views. When the Muslim Brotherhood was elected, the party with the second-most votes was led by Ahmed Shafiq, the vice-president of the old regime; the two groups that the people supported were representative of stability and familiarity rather than true democracy. Eventually, the Muslim Brotherhood fell from power, but it was replaced by the only organization even more politically stable—the army. Therefore, though it would be incorrect to attribute Egypt’s experiences solely to human angst, it is undeniably a factor in these social changes. To explore the existentialist concepts of angst further, we can look to philosophers Kierkegaard and Sartre. Kierkegaard highlighted the idea of dread as something that is different from fear; fear has an object, in which one fears for something, but dread exists in the face of the unlimited possibilities of freedom. Jean-Paul Sartre was an existentialist philosopher of the 20th century. Sartre expanded on this theory, exploring the idea of dread in the political sphere. Sartre argued that “our responsibility […] concerns all mankind”, meaning that each individual holds responsibility for everyone (Sartre 24). In other words, because everyone is a microcosm of humanity, every decision made in freedom is representative of humanity as a whole; Sartre argued that when taking action, a person must ask himself whether it would be morally upright if everyone in the world made the same decision. However, according to 20th century philosopher Hannah Arendt, this responsibility only exists in a democracy with a “politically guaranteed public realm”, since this responsibility results from having political freedom (Arendt 147). In a democracy, everyone is “a legislator choosing […] what humanity as a whole should be”, and according to Sartre, the burden of this responsibility leads to angst (Sartre 25). Arendt’s rather cynical view of some past revolutions is that people did not revolt out of a “desire for freedom […] but out of mistrust in those who held power over their life and goods” (Arendt 149). According to this theory, the Egyptians did not revolt out of a desire for abstract ideals. Thus, when the person who had held power over their life and goods, Mubarak, resigned, the Egyptians accepted a new authoritarian government. For Sartre, it would seem that the Egyptians acted in “bad faith” by passively approving of this new government. To explore this notion of bad faith further, we must look at Sartre’s book Being and Nothingness. 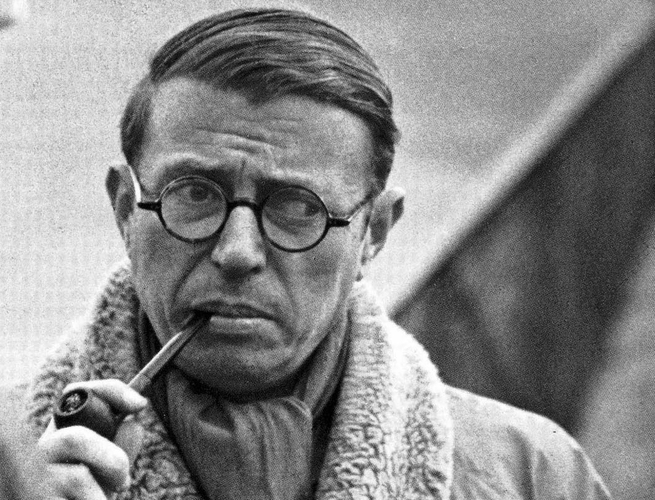 According to Sartre, bad faith is when people choose to accept the status quo of their environment and not see the possibilities that are actually available to them. For instance, bad faith exists in the relationship between a slave and his master, for the slave is denying himself the possibilities of freedom, encompassing an attitude of “self-negation” (Sartre 370). These people who act in bad faith fall in the trap of de Beauvoir’s serious man. In an ideal democracy with a fully functioning public sphere, people do not choose in bad faith, for “bad faith […] is a dissimulation of man’s full freedom of commitment”, the opposite of acting to maintain freedom (Sartre 47-48). Authenticity, for Sartre, is this notion of acting in the name of freedom and protecting political freedom for everyone; acting authentically requires an individual realizing “freedom as the foundation of all values […] [and] that the ultimate significance of the actions of men of good faith is the quest of freedom in itself” (Sartre 48). When people act in bad faith, it is similar to lying to themselves, except that when lying, people possess the truth, but when acting in bad faith, people do not possess that truth. According to Sartre, in acting inauthentically, people’s perception of reality becomes the truth for them. In Egypt, the people believed that they were fighting for democracy, but the result of the revolution points towards the true motives behind the revolution—to secure stability and to overthrow someone who had power over their life and goods. Bad faith and anguish contributed to the failure of Egypt to keep its short-lived democracy. However, if one of the reasons that Egypt was not able to keep its democracy was because of a fundamental attribute of being human, why was Tunisia able to succeed in becoming a functioning democracy? Why does Tunisia remain, as Secretary of State John Kerry said, “a beacon of hope, not only to the Tunisian people, but to the region and the world”? In truth, Tunisia’s experiences also reaffirm the idea of human anxiety. For instance, the initial elections after the revolution were won by an Islamist party, the Ennhada Party, just as in Egypt. Therefore, like the citizens of Egypt, Tunisia’s people also decided to forgo the abstract ideals of democracy and choose a party that reaffirmed their traditional values instead. However, the first difference between Egypt and Tunisia is in the actions of the military. In Egypt, the army did not participate in the revolution and only came into the political sphere to pounce on the power vacuum after the overthrow of the Muslim Brotherhood. However, the army in Tunisia actively supported the rebels in overthrowing the incumbent regime throughout the entire duration of the revolution. Thus, the army in Egypt was filled with “serious men” who listened to orders and eventually created a militarily backed regime, but the army in Tunisia had men who embraced authenticity and recognized their responsibility for freedom. Though the army in Tunisia was important in its transition to a democracy, even more important was the Ennhada Party’s decision to relinquish its power to host democratic elections. As in Egypt with the Muslim Brotherhood, the Ennhada Party soon lost its appeal. 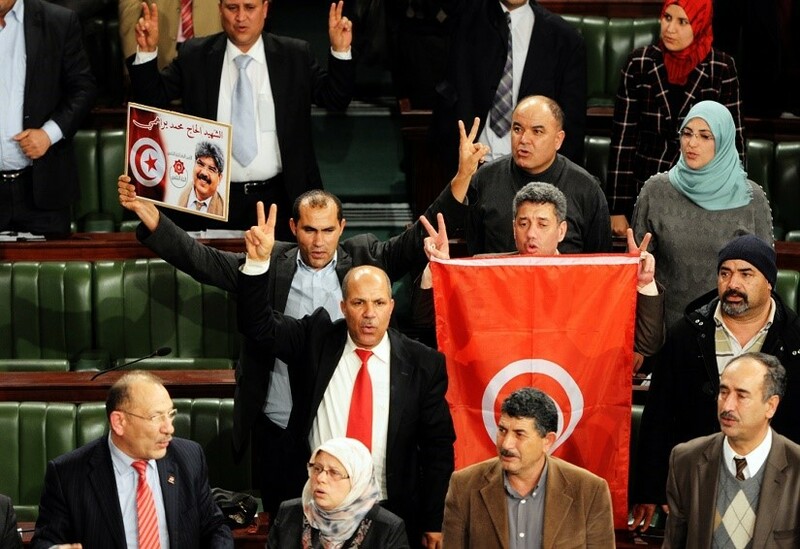 Members of the Tunisian National Constituent Assembly jubilate after the adoption of a new constitution on January 26, 2014. But instead of desperately trying to cling to their power like their counterparts in Egypt, the Ennhada Party voluntarily exited from politics, preserving the fragile life of democracy. Thus, in contrast to how Egypt’s military took advantage of instability to come to power, Tunisia decided upon a path of political freedom to return the country to stability. Juxtaposing the Egyptian Revolution and the Tunisian Revolution, both revolutions resulted in Islamic governments coming into power, reaffirming the notion of anxiety pushing people to principles they identify most with. However, Tunisia was able to realize its aspirations for a free public sphere and a government based on democratic principles. The people of Tunisia overcame their desire for the stable, certain solution in part by the efforts of its army and the responsibility of its government to let go of power. For now, it remains as an infant democracy, slowly progressing its way to a fully-fledged one. As for Egypt, only time will tell when its people are ready to sacrifice some elements of stability and certainty and instead embrace the possibilities and the responsibilities of freedom. Aoudé, Ibrahim G. “Egypt: Revolutionary Process and Global Capitalist Crisis.” Arab Studies Quarterly 35.3 (2013): 241-54. Print. Beliakov, V. “Egypt: Birth of the “Second Republic”.” International Affairs: A Russian Journal of World Politics, Diplomacy & International Relations 59.1 (2013): 100-8. Print. Blanga, Yehuda (Udi). “Turmoil in Egypt – 1968–2011: The Status of the Armed Forces in Citizen Uprisings in Egypt.” Contemporary Politics 20.3 (2014): 365-83. Print. de Beauvoir, Simone. The Ethics of Ambiguity. New York, New York: Philosophical Library Inc., 1948. Print. De Smet, Brecht. “Revolution and Counter-Revolution in Egypt.” Science & Society 78.1 (2014): 11-40. Print. Drevon, Jé. Democracy and Islamist Violence: Lessons from Post- Mubarak Egypt. 23 Vol. , 2014. Print. Durac, Vincent. “Protest Movements and Political Change: An Analysis of the ‘Arab Uprisings’ of 2011.” Journal of Contemporary African Studies 31.2 (2013): 175-93. Print. Elyachar, Julia. “Upending Infrastructure: Tamarod , Resistance, and Agency After the January 25th Revolution in Egypt.” History & Anthropology 25.4 (2014): 452-71. Print. Hanna, Michael Wahid. “God and State in Egypt.” World Policy Journal 31.2 (2014): 59-69. Print. “Human Rights Watch- World Report 2012: Egypt.” 2013.Web. <http://www.hrw.org/world-report-2012/world-report-2012-egypt>. Khan, Muqtedar. “Islam, Democracy and Islamism After the Counterrevolution in Egypt.” Middle East Policy 21.1 (2014): 75-86. Print. Ogbonnaya, Ufiem Maurice. “Arab Spring in Tunisia, Egypt and Libya: A Comparative Analysis of Causes and Determinants.” Alternatives: Turkish Journal of International Relations 12.3 (2013): 4-16. Print. Ryan, Yasmine. “Tunisia’s Passage.” Nation 298.9 (2014): 19-21. Print. Sartre, Jean-Paul. Existentialism is a Humanism. New Haven, Connecticut: Yale University Press, 2007. Print. Yüksel, Basak Akar, and Yilmaz Bingöl. “The Arab Spring in Tunisia: A Liberal Democratic Transition?” Electronic Journal of Social Sciences 12.47 (2013): 310-27. Print.